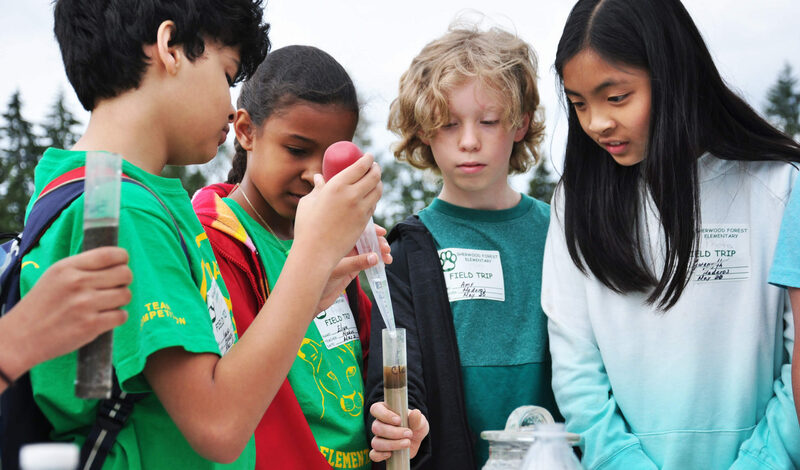 May is First Green month, and golf courses across the U.S. and Canada are hosting local schools for First Green STEM* field trips. In a First Green field trip, golf course superintendents host students where they test water quality, collect soil samples, identify plants, design plantings, and calculate the square footage of parts of the golf course that the superintendents deal with every day. The students are also introduced to playing golf. Golf course superintendents need to be highly-trained in STEM to manage their golf courses; they share this knowledge with teachers and students, showing real world applications that inspire student interest in STEM, while exposing them to the game of golf.